Missions trips. We equate it with crossing an ocean to the blazing heat of Africa or the devastation in Haiti. We may equate it with staying in our own country and simply driving to another state to help build houses. Is this wrong to do? Definitely not. It is wonderful to see people follow God’s plan for their life and go above and beyond to spread the Gospel of Jesus Christ. However, I think we have a slightly twisted thought of what a missions trip actually is. Our lives are a missions trip. Whether it’s at work, school, or just taking some down time on vacation. Everywhere we go is a missions trip. 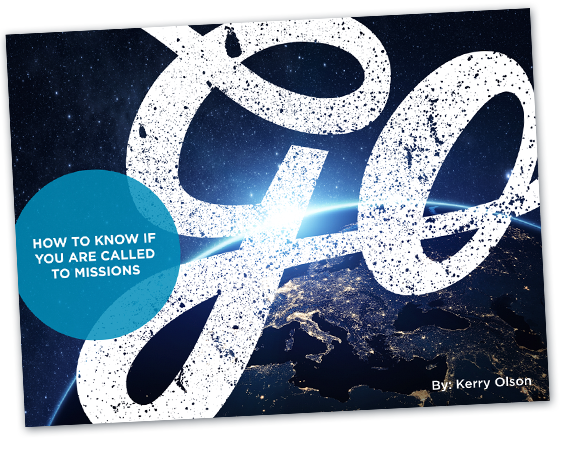 Everywhere we are is our mandated mission field by God. Wherever the disciples went, they preached the good news. Wherever Paul went, he preached the good news. If Jesus commanded us to make disciples of all nations, then how do we expect to do that if we aren’t doing the work He’s called us to in the community He placed us in? We don’t want to see those people overseas that we’ve never met to burn in hell’s flames, but what about our next door neighbor who we do know. Do we want him/her to burn for eternity in hell? It seems many of us just sit down and wait until God tells us to go somewhere. Or it might just be that many of us complain that we can’t do what we want, instead of doing what God has called us to do where we are now. If we’re waiting, we should be preparing our hearts for the work He might call us to do overseas. Also in the mean time of waiting, we should be working for the advancement of His kingdom (wherever we are) until He might tell us to go overseas. Anytime, anywhere, we are called to glorify Christ in everything we do. Anytime, anywhere, we are called to be salt and light. Anytime, anywhere, we should be proclaiming His love to the ends of the earth. Are you living your daily life in the light of eternity?